According to the U.S. Pet Ownership & Demographics Sourcebook by the American Veterinary Medical Association (AVMA), the state of Arkansas has the highest percentage of households that own a dog and Vermont the highest that own a cat. 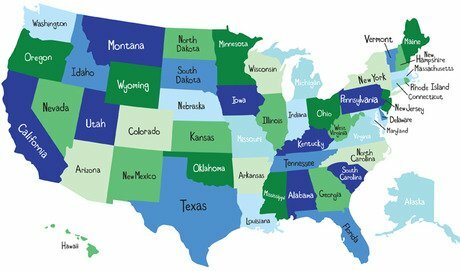 States that own the fewest dogs and cats are also named. The study was conducted in 2012, but is based on numbers from December 31, 2011; results are drawn from a survey of more than 50,000 households in the United States. Note: The District of Columbia’s pet ownership rate was the lowest at 21.9 percent. Note: The District of Columbia’s dog ownership rate was the lowest at 13.1 percent. Note: The District of Columbia cat ownership rate was the lowest at 11.6 percent. These statistics are but a sample of what the complete report has to offer. To order the U.S. Pet Ownership & Demographics Sourcebook for 2012, visit the American Veterinary Medical Association website.